Although I now consider myself an Oregonian having lived here for a decade as of this summer I grew up in California and there are parts of the landscape that will always have special meaning for me. 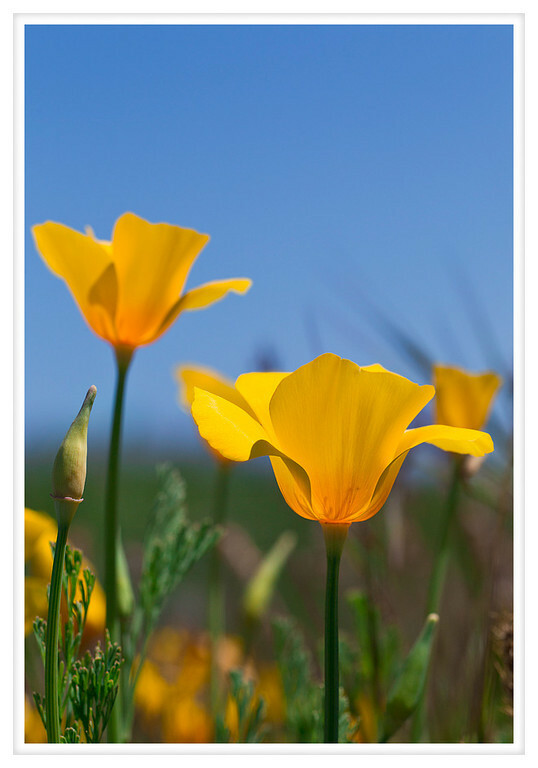 I love the rolling golden hills covered in tall grass and dotted with gnarled black oaks, the redwoods of the northern coasts, and the poppies. These flowers I found when I pulled off the freeway to take some shots of rural California and there they were growing in a clump amid tall grasses on the side of the road. The flowers were nodding gently in a breeze that had not lost the edge of morning chill. In another month the grasses will lose their rich green coloration in favor of their flaxen standard as the state begins to bake under the summer sun. Until then we have this little bit of California to enjoy. 2012, Day 150 - Par-tay!